Google's latest update for its Android Wear software features one very useful upgrade: The option to listen to music from your smartwatch, no phone required. It's a bonus for travelers, joggers and anyone else who doesn't want to carry their mobile with them at all times. Here's how to set it up. First of all, get your software in order. Make sure you're running the latest version of the Android Wear app on your smartphone and your watch (go to Settings and then About on the wearable to do this). Play Music (the app that controls music playback on your smartwatch) also needs to be up to date. Head into the Play Music app and tap Settings on the main menu. Here you'll find a new option to Download to Android Wear. 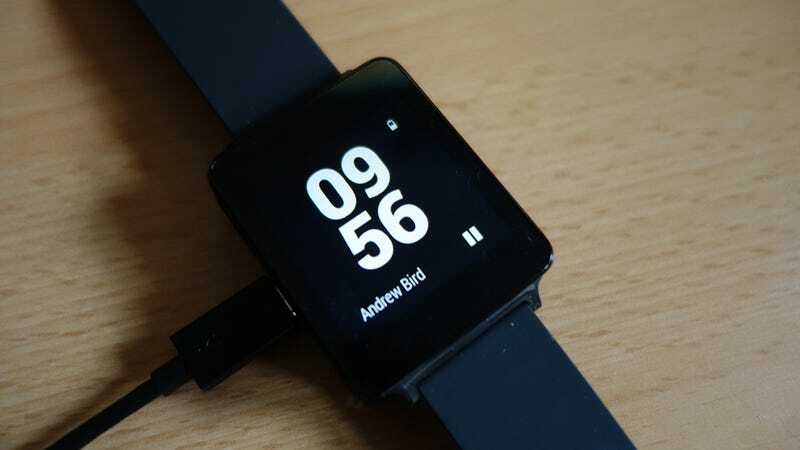 Tick this, and all of the music you've downloaded to your phone will also be downloaded to your Android Wear watch. You should see a message on your watch once the download starts, if it's connected. If not, charge the watch up, as tracks won't transfer if the battery level is low. Unfortunately there's no option (yet) to download music to your Android Wear device alone. Any songs and albums you choose to cache on your smartphone (by tapping the download icons) are also going to be synced to your watch, though obviously the former has more storage space than the latter. Android Wear devices typically have 4GB of on-board storage, so you might have to unsync some music from your smartphone to be able to play the tunes you want from your wrist. Once the download has finished, you're free to pick up your Android Wear smartwatch and head out with your music. You'll probably also want to pair some Bluetooth headphones with the device, which you can do from the Bluetooth devices entry in Settings on your watch.